Intex has launched the Intex Aqua Wonder Quadcore for Rs. 9,990. A quad-core smartphone running on Android 4.1.2 Jelly Bean. In terms of specifications, the Intex Aqua Wonder Quadcore features a 4.5-inch capacitive 540×960 touchscreen with IPS panel screen technology. As the name suggests, it is powered by a MediaTek MT6589 quad-core processor and comes with 512MB of RAM. The smartphone has 1.93GB of internal storage, of which 1.93 GB is user accessible. The internal storage can be expanded by up to 32GB through a microSD card. It has an 8-megapixel auto focus rear camera with dual LED flash and 2-megapixel one on the front. 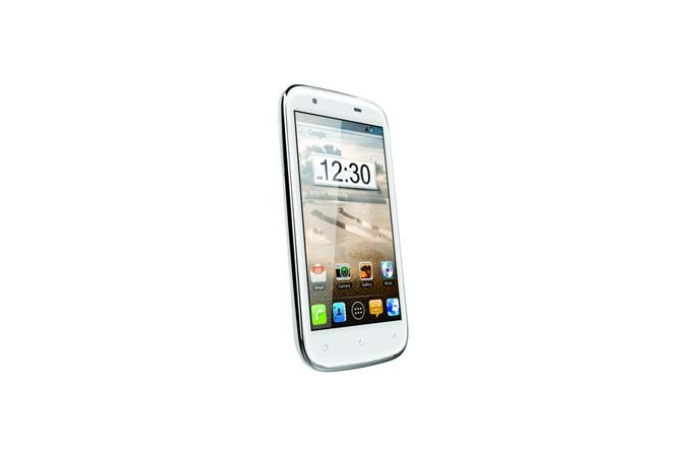 It is a dual-SIM smartphone (WCDMA+GSM). Other connectivity options include 3G video calling, Wi-Fi, GPS and Bluetooth 4.0. The Intex Aqua Wonder Quadcore is powered by a 1,800mAh battery. Intex is giving a free pouch and screen guard along with a purchase of this smartphone. Apart from the launch of Aqua Wonder Quadcore, two more smartphones – Aqua Glow and Aqua Active have appeared on official Intex website. These smartphones will be powered by Android 2.3 and will be priced around the Rs 5,000/- mark.